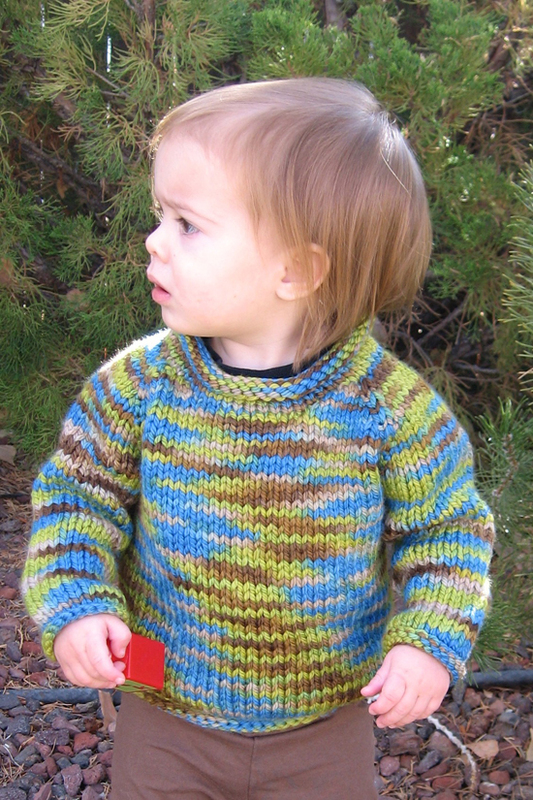 A fast easy top down pullover for babies. Sizes 6, 12, 18 and 24 months. Gauge is 13 sts to 4 inches. 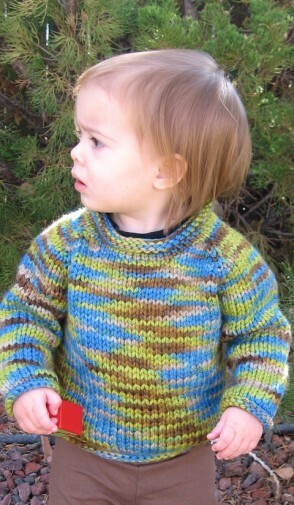 A great fast gift that looks cute in any bulky yarn!